The Start Fund has allocated £161,802 to provide a rapid humanitarian response to an influx of returnees from Cameroon to Nigeria. The protracted conflict in Northern Nigeria has led to the displacement of hundreds of thousands of people fleeing attacks by the terrorist group Boko Haram, in Borno, Adamawa and Yobe states. UN OCHA estimated in June 2015 there are 1.4m internally displaced people, while an estimated 2.3 million people do not have access to humanitarian aid and are in critical need of assistance. In July, the Cameroonian authorities announced they were forcibly sending 15,000 Nigerians back to their home country. The returnees are now being relocated to camps without essential personal belongs such as blankets, mats, clothing and soap. Living conditions in the camps are dire: it was reported by health workers that 80% of the children suffer from diarrhoea due to poor hygiene practices and limited access to safe drinking water. The rainy season has now started, which makes the situation even worse, with high risks of waterborne diseases such as malaria and cholera. Following an alert raised on 21st August, the Start Fund has provided funding for a rapid response by Save the Children, which will improve access to safe drinking water, through distribution of water storage containers, individual hygiene kits for returnees and organisation of hygiene awareness training. Save the Children will also focus efforts on identifying the most vulnerable girls and boys from the returnees, they will refer those children to childcare workers operating in ‘safe spaces’ where children have access to recreational services. The project will reach an estimated 5447 beneficiaries. 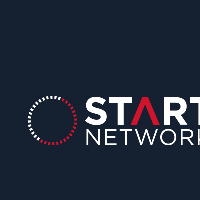 The Start Fund releases funds within 72 hours of being alerted and projects are implemented within 45 days. The Fund provides fast and early responses to crises, filling a critical gap in availability of humanitarian funds through traditional sources.